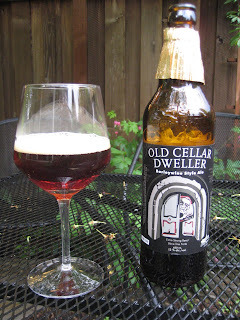 Don't discount the Old Bad Cat - the flavours from the Cellar Dweller probably killed it. Old Bad Cat is aged in bourbon barrels and has quite a yummy flavour. Missed your message before the fest. I got there around 5:20, and left when they kicked us out. I had a great time. Tried lots of great beers, and even won a raffle prize. I was the tall guy with the plaid western shirt, and tattooed arms with "the bumps". I'm sure we've seen each other at plenty of fests; it seems like we go all the same places. We'll meet one of these days! Hey pedXer, now that you mentioned the bumpy arms, I know I was standing right by you at CtBB this year. Didn't see you at Fred Fest, but man that was a great time. I had a great time at Fred Fest this year. I can't wait to see how they finish building out the space. When I heard "tasting room", I was really stoked, and it had me thinking of something like Upright has going at their brewery. When I saw the space HotD dedicated for serving the public, I stopped thinking "tasting room", and started thinking full-on brew pub. Between the neat industrial location (that is a real short walk from my business), the great space (I love big old exposed beams), the view of downtown, the great beers, and Alan's BBQ, this is a place I could spend a LOT of time this summer. Now that I've seen what hair of the dog is up to, I'm extra curious about whats going on 8 blocks away at Cascade.